Wind turbines generators are used to generate electricity (I’m sure we didn’t need to tell you that). 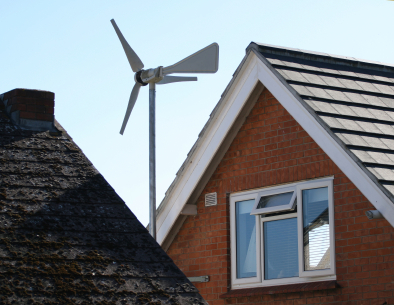 The power made from this is normally connected to a battery bank or to the mains supply, however in strong winds or when the battery is fully charged the wind turbine generates more current than the batteries can take. It is because of this we have a dump load. Now what is a wind turbine dump load? Well the dump load is a device that will take the extra energy and put it to use. The best way to describe a dump load is an extra use when the batteries are full. The dump load is the thanks for topping up reward. So what can be used as a dump load? Well you can hook up your thermotube (tubular heater by Thermo Products) to act as a dump load. What this means is when the batteries are full or there is the chance of an overload the dump load (the thermotube) will kick in and start heating. The great thing about the dump load been a thermotube is you can have extra heating anywhere you want. That room that is always too cold in the mornings put in a thermotube and set it up as the dump load. Then during the night when the batteries are full the dump load will kick in and the thermotube will start heating the room. Why else should you have a dump load? Well if you over charge the batteries you will damage them, not only that but you damage the wind turbine as well. Not having a dump load can end up been very costly. So why use a thermotube? Well the thermotube runs on such little energy that is it effective to handle the extra load and act as a dump load without been weak. No point linking a dump load that will have nothing more than a warm wall. The thermotube will be running run, your batteries happy and the wind turbine undamaged. Also you can go on step more. Your dump load, the thermotube, can be used normally however when it is required to be used as the dump load it can switch power source. This means you can used the thermotube as normal and get all the extras on top!